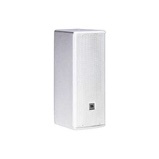 Midsize Tri-Amplified 3-Way high directivity line array element designed to deliver high-quality reinforcement of music and speech in a variety of applications including concert audio and corporate A/V presentations. The Coda Audio G308 is a compact versatile full range 2-way loudspeaker system that features an 8" ultra low distortion low frequency driver and a 1" compression driver coupled to a 90° conical wood waveguide. The Coda G715-96 is a versatile full range three-way loudspeaker system that features a high power 15" neodymium woofer and a 1.4" coaxial neodymium driver coupled to a 90°x60° rotatable elliptical waveguide. Compact Bi-amplified 3-Way high directivity line array element designed to deliver high-quality reinforcement of music and speech in a variety of applications including concert audio and corporate A/V presentations. Fullsize arrayable 2-18" subwoofer with dual 18" ultra long excursion transducers. Designed to deliver high fidelity sound reinforcement of sub-low frequencies for a wide variety of live music and A/V support applications. 8 in. two-way line array loudspeaker system designed for use in arrays of up to six units. The Coda G712-96 is a versatile full range three-way loudspeaker system that features a high power 12" neodymium woofer and a 1.4" coaxial neodymium driver coupled to a 90°x60° rotatable elliptical waveguide.